From the first day we serve until today, we worked on mineral structures such as river stone, limestone (aggregate), basalt, chrome, boron, calcite, mountain sand and nickel. 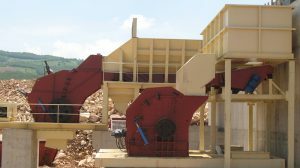 These crushers are designed for crushing materials in soft and medium hardness. 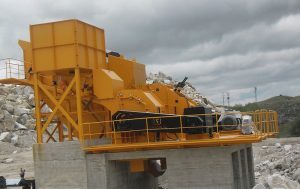 The high-speed rotating rotor breaks the material by hitting them to the crush wedges. 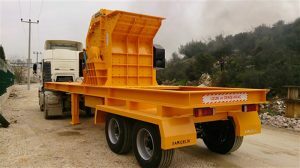 Sand machine allows you to obtain fine and cubic products. 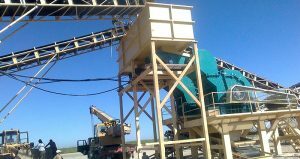 It gives the product in the gradation according to the sand size distribution requested by concrete plants and asphalt facilities. In river stone max. 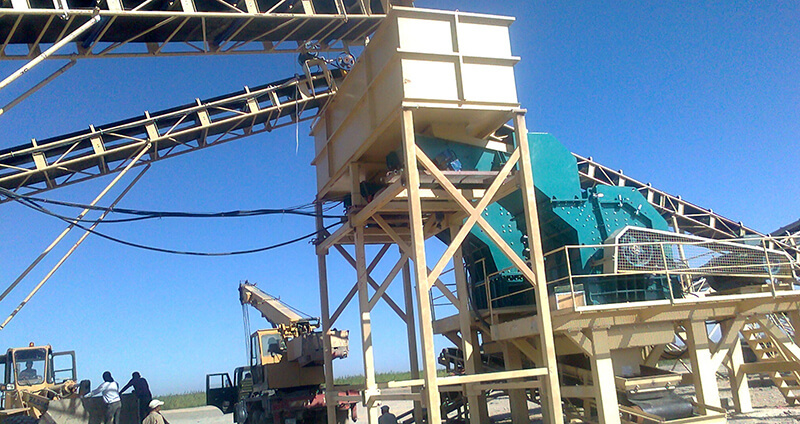 80 mm, quarry stone max 250 mm feeds are made. The machine body frame is produced in 4 pieces. This product, which is manufactured under the name of sand machine, is also known as tertiary crusher. 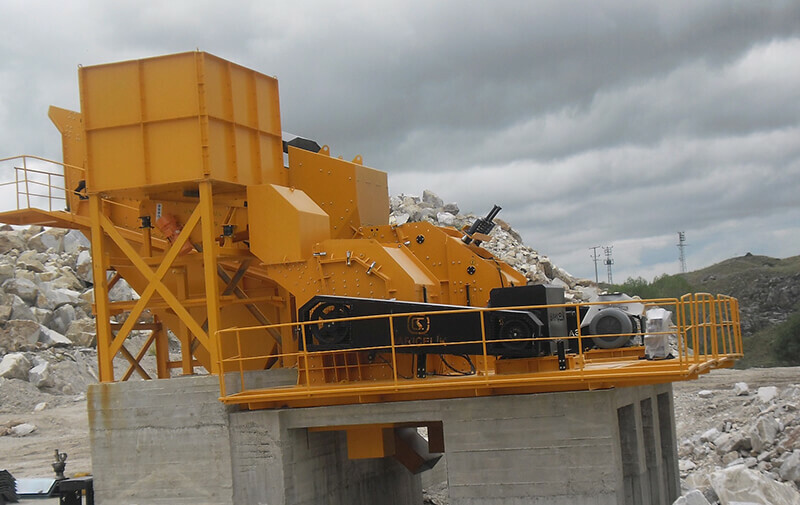 In terms of operating principle and body shape, it falls under the impact crusher category. 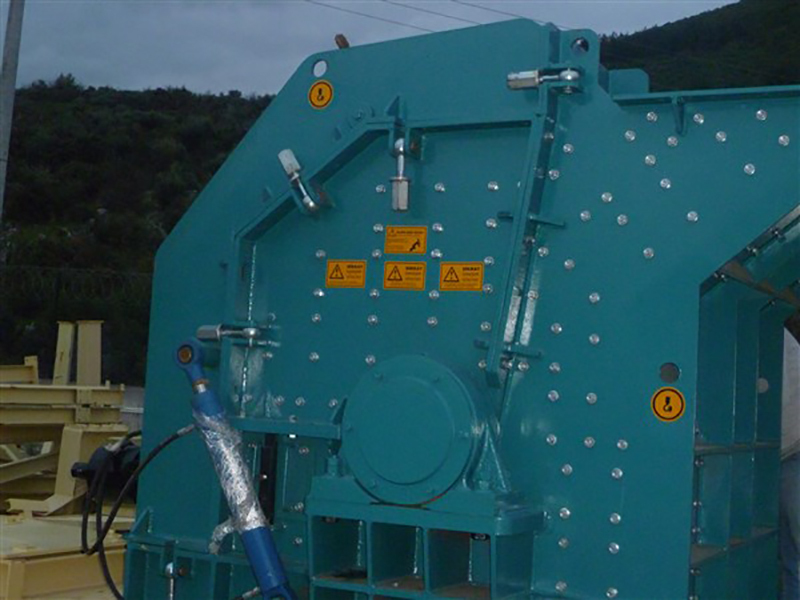 Desired sizes in the sand machines are in the range of 0-5 mm, 0-5 mm range of the desired product requires operation of the machine at high speeds. 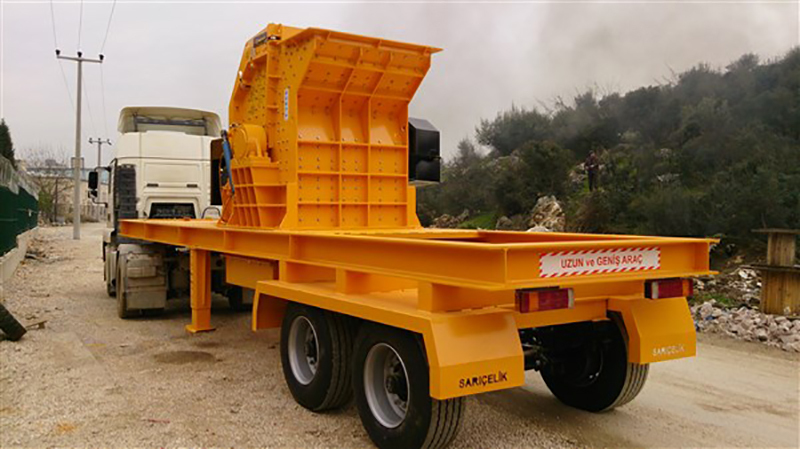 Because abrasion is very high in these sizes, to reduce abrasion, special plates in different line and geometrical shapes are used in the machine and outside of the body. To achieve efficiency at high speeds, rotor and way of attaching the rotor on the body are produced precise. 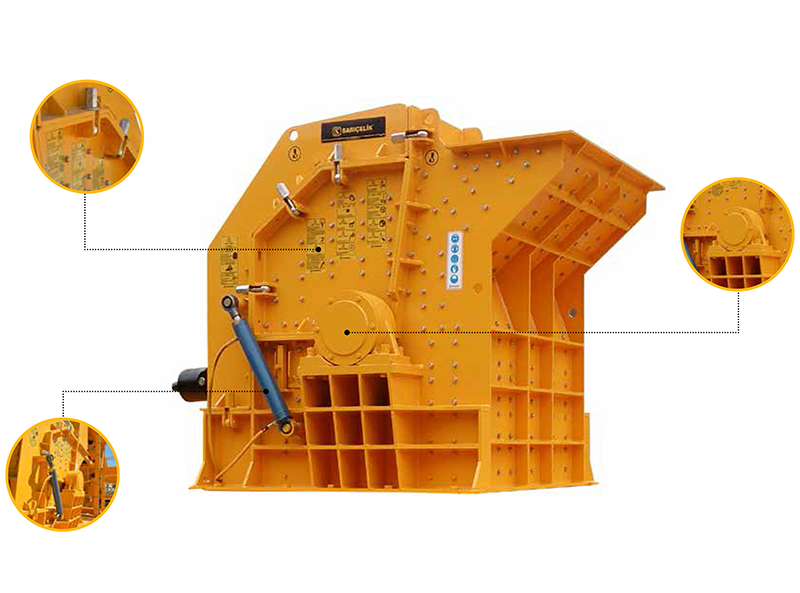 Material feeding size is one of the most significant features of the sand machine we produce. Feed size is 250 mm. 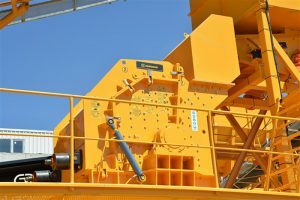 Setting group range is 0–150 mm.These operation dimensions apply to all mineral structures, similar crystal mesh structures crystal and working conditions stated in this design. 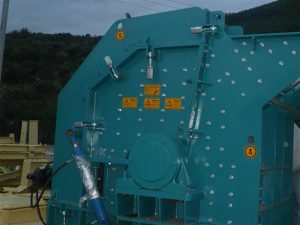 Swing body is opened and closed by a hydraulic system. 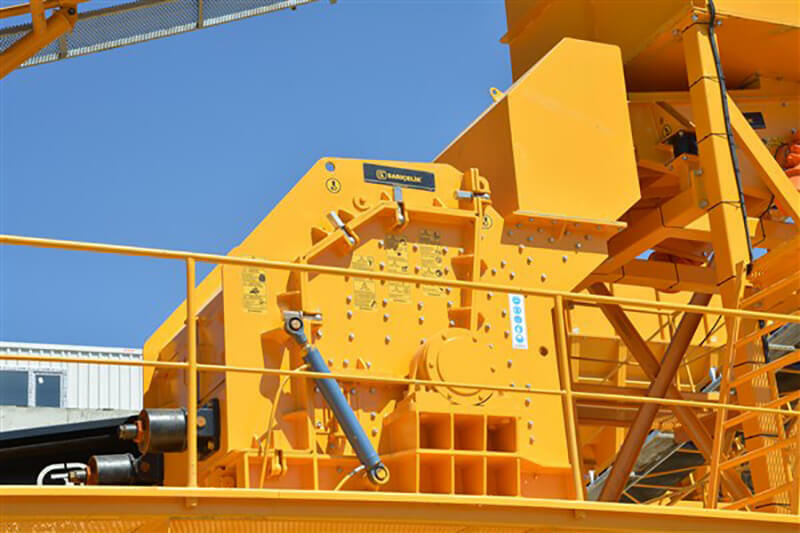 These features facilitate to carry out tasks such as controlling swing wear plates (crush wedges) side door and wall linings, hammers (wedges) Rotor balance, cleaning interior of the machine at the end of business day, grading adjustment and allows for system maintenance in a proper position and safe environment.